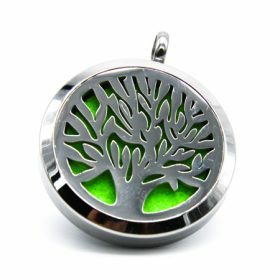 The quality of this aromatherapy pendant is second to none. – Made from genuine surgical stainless. – Every pendant purchased includes 12 high quality coloured pads. 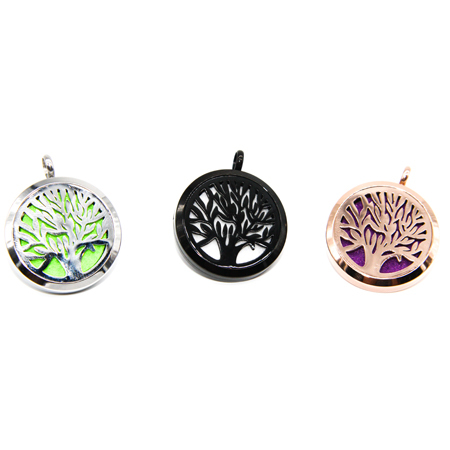 – Locket clasps together with a quality magnetic latch, making it very simple to use. 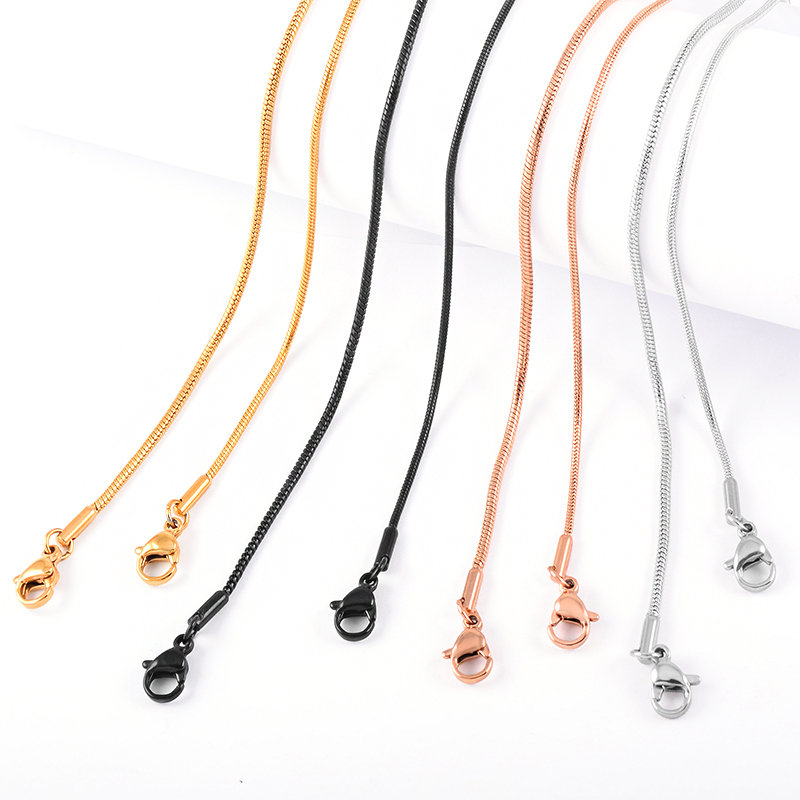 – Built to last and will resist scratching and marks much more effectively than plated or alloy jewellery. 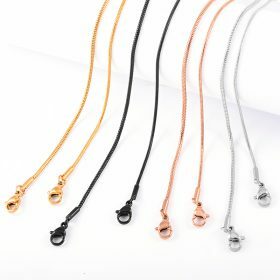 – Every pendant comes with an option to purchase a 55cm matching snake chain, also made from high quality surgical steel. COULD YOUR PERFUME BE HARMING YOUR HEALTH? 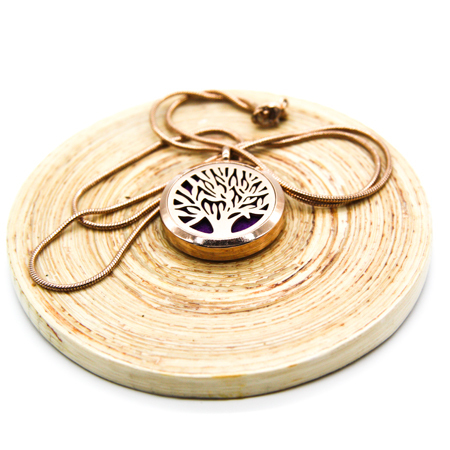 Why use a pendant to diffuse your essential oils? Isn’t it frustrating that you can only smell your favourite perfume for about 5 minutes after you apply it? Generally if you can smell your perfume for longer than this it is far too strong for everyone else around you. 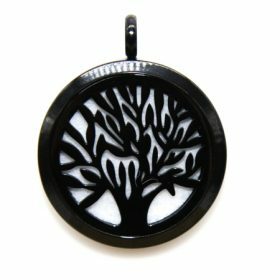 Finally there is a way to wear your favourite scent and smell it all day! These pendants not only look amazing, they will enable you to choose the perfect essential oil blend for your day and bathe in your chosen scent all day long. The scent will generally last days on the provided pad, only needing a top every few days. 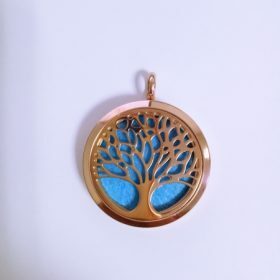 Because you also receive 12 different coloured pads you can match your pendant to your outfit each day, making the pendant a very versatile piece of jewellery. Some essential oils can be too harsh when applied directly to the skin. Using a pendant is a great way to avoid this skin contact while still getting the benefit of your chosen essential oil. When choosing a darker oil such as Happy + Calm a darker pad is preferable so that the oil is not visible on the pad. For lighter pads with darker oils, place the oil on the back of the pad. Always remove the pad from the diffuser before applying your chosen essential oil as this will minimise any damage to the metal that the oil may cause. Essential oils can stain clothes and cause skin sensitivity. Avoid direct contact with skin and clothes by removing the pad before applying oil. Most oils require only 3 drops for the desired strength. 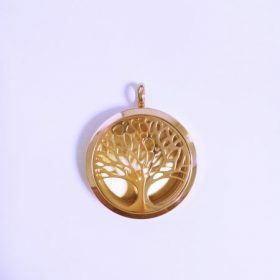 Do not allow children to chew the necklace or scent pads as many essential oils are toxic when ingested. Avoid placing these potentially harmful chemicals on your body and around your loved ones by choosing essential oils as your fragrance of choice.